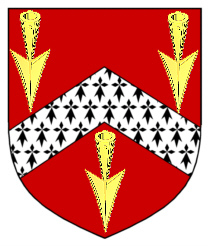 Coat of Arms: A red shield with an ermine chevron between three gold pheons. Crest: A demi leopard regardant bezanté holding a gold pheon. Motto Translated: Watch that you may live. 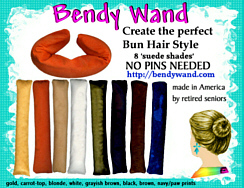 Spelling variations include: Arnold, Ernold, FitzArnold, Arrnold, Errnold, Aernold and many more. First found in Yorkshire where they held a family seat for many centuries and were recorded in the Domesday Book, a census taken by King William, Duke of Normandy in 1086 A.D. Some of the first settlers of this name or some of its variants were: William and Thomas Arnold of Nottingham, England, who settled in Higham Mass, and Watertown New York in May 1635. William later moved to Providence, R.I. He was allegedly the richest man in the colony, and he was the ancestor of Benedict Arnold. In Newfoundland, Joseph from Sherborne, Dorset, was an apprentice of Henry Brooks in Bay Bulls in 1752. 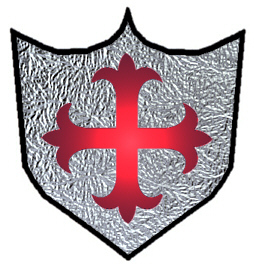 Coat of Arms: A silver shield displaying a red cross flory. 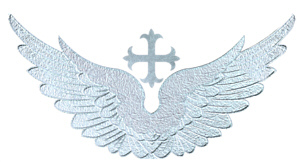 Crest: A silver cross between two wings. Spelling variations include: Arnold, Arnoldt, Arnolds, Arnol, Arnoll, Arnolle, Arnholdt (often in Saxony), Aroldt (Franconia), Arlt (Silesia) and many more. First found in Austria, where the name contributed greatly to the development of an emerging nation which would later play a large role in the tribal and national conflicts of the area. Some of the first settlers of this name or some of its variants were: Anne Arnold, age 39; who settled in Boston, Mass. in 1635; Carl Arnold, who arrived in Texas in 1854; Frederick Arnold, who came to Philadelphia in 1859. English and German: from a very widely used personal name of Germanic origin, composed of the elements arn ‘eagle’ + wald ‘rule’. In addition, it has probably absorbed various European cognates and their derivatives (for the forms, see Hanks and Hodges 1988). English: habitational name from either of the two places called Arnold (see Arnall). Jewish (Ashkenazic): adoption of the German personal name, at least in part on account of its resemblance to the Jewish name Aaron. 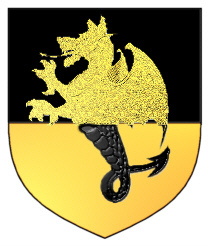 Coat of Arms: A shield divided per fesse black and gold with a wyvern counterchanged.